Frost once taught the truth of Covenant Eschatology, but abandoned it, claiming that he had discovered major logical and scriptural flaws in the system. In reality, the problem was that Frost could not bring himself to jettison church history and the creeds. He chose the works of men over the Word of God. Frost has produced several articles and videos seeking to justify his return to futurism and his rejection of true preterism. But, few rival his latest production entitled “Another Full Preterist Fallacy Faulted” in regard to their utter illogic and specious nature. It really is a stunning example of desperation. Not one jot or one tittle of the Law of Moses could pass until it was all fulfilled, brought to pass, fully accomplished. The Law of Moses contained prophecies of the resurrection, the judgment, the end of the age and the coming of Christ. Therefore, until the resurrection, the judgment, the end of the age and the coming of Christ took place, not one jot or one tittle of the Law of Moses could pass. Since Frost believes that the Law of Moses (at the very least, the ceremonial, sacrificial mandates) has passed as a binding covenant, and since he believes that the resurrection, the judgment, the end of the age and the coming of Christ have not yet taken place, he absolutely must find a solution to this conundrum. You cannot have the passing of the law of Moses without the fulfillment of the resurrection, the judgment, the end of the age and the coming of Christ. If the resurrection, the judgment, the end of the age and the coming of Christ have not taken place, every jot and every tittle of the Law of Moses remains valid and binding. 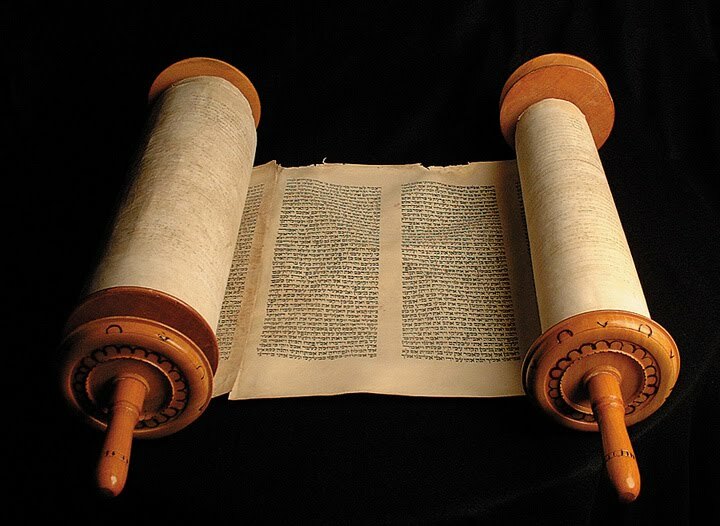 See my book Torah To Telos: The End of the Law of Moses, for an extended discussion of when the Law of Moses did indeed pass away. Mr. Frost has invented a novel, new, unprecedented explanation of Matthew 5. More on that in upcoming installments. But, let me proceed to an examination of Mr. Frost’s attempt to explain away Matthew 5:17-18. I will offer some of the salient points that he makes and then examine his conclusions and claims as we proceed. I agree with Frost when he says that Jesus was saying that every jot and every tittle of the Law of Moses had to be fulfilled for any part of the Law to pass away. He said, “The least stroke of the pen of the Law and Prophets remains until all things concerning them are ‘accomplished.’” (p. 2 of 13). In other words, every single stroke of the pen of the Law and the prophets would remain valid until every thing in the Law and the prophets would be accomplished. I agree with Frost when he observes that Jesus’ words, of necessity, mean that what had to be fulfilled, in the future from when Jesus spoke, were the prophecies and elements of the Law that had not yet been fulfilled when he spoke. After all, when Jesus spoke these words, some prophecies of the Law had already been fulfilled, i.e. his Virgin birth among others. Frost now takes the position that “The Law and the Prophets contain within them the fact that the heavens and earth will disappear” (3 of 13). So, when we combine that concept with his view that Torah will not pass until it is all fulfilled, this logically means that not one jot or one tittle would / will pass from Torah until heaven and earth passes away. And what Mr. Frost means by “heaven and earth” as just noted, is that it is material creation. It is the literal, physical earth and the heavenly bodies that must perish for Torah to pass. So, the Law of Moses and the prophetic corpus will stand valid until the dissolution of material heaven and earth, per Mr. Frost’s article. The word “valid” is a sticking point. Frost would reject the idea that the entirety of Torah would remain valid, binding, until the end of time / space. By “remaining” he means that the Law of Moses will continue — on paper – until the end of time. But, as we shall see, this is untenable and un-Biblical. Notice that Jesus said, “until heaven and earth passes away, not one jot or one tittle shall pass from the law, until it is all fulfilled.” Frost says that, “when the Law and the Prophets are fulfilled, then the heavens and earth will disappear.” So, to reiterated, the passing of the Law and Prophets and the passing of heaven and earth are synchronous events. Now, those familiar with Covenant Eschatology might read these claims by Frost and think that he has returned to the truth. After all, he is affirming quite clearly that not one jot or one tittle of the Law of Moses (hereafter, Torah) would pass until it was all totally fulfilled. Every promise fulfilled, every prophecy fulfilled. Thus, if every jot and every tittle has not been fully accomplished, completely fulfilled, then every jot and every tittle remains valid. But, although his words logically lead to that conclusion, that is not what Mr. Frost is now teaching. Frost well realizes that if he follows the logic of his own words, and the words of the text of Matthew 5, that Torah remains valid today– every single jot and tittle. So, Mr. Frost gets “creative” in his desperation. First of all, as noted, Mr. Frost defines the heaven and earth as material creation. He rejects as “pernicious” the idea that the term could have had a well established vernacular, metaphoric meaning that heaven and earth referred to Israel covenant world. He simply claims that anyone hearing Jesus would have known immediately that he had material creation in mind. That claim is incredibly presumptive and without merit. As I show in my book, The Elements Shall Melt With Fervent Heat, there was a well established, well accepted use of the term to refer to Israel, to her Temple, to her covenantal world. I document this from scripture, from history and from scholarship. This book gives a wealth of documentation that Peter’s prediction of the passing of “heaven and earth” had nothing to do with the end of time or the material creation! Notice what noted scholar Crispin H. T. Fletcher-Lewis says in regard to Matthew 5:17-18 and Matthew 24:35: “Within the broader sweep of the temple reference throughout this eschatological chapter and the specific time reference in the preceding verse (Mark 13:30; Matthew 24:34), Jesus’ promise that ‘heaven and earth’ will pass away makes the best sense, not as a collapse of the space-time universe, as has been so often understood, but as a collapse of a mythical space-time universe embodied in the Jerusalem temple.” (Eschatology in Bible and Theology, (Downer’s Grove; InterVarsity, 1997), 162). Although there is some debate, there is widespread belief in scholarship today that the Jews never contemplated the end of time or the end of the material universe! For instance, N. T. Wright notes: “The close of the age for which they (the disciples in Matthew 24:3, DKP) longed was not the end of the space order, but the end of the present evil age” (N. T. Wright, Jesus and the Victory of God, (Minneapolis, Fortress, 1996), 361-362). See also his extensive comments on this very issue in his 2013, Paul and the Faithfulness of God, Vol. I, (Minneapolis, Fortress, 2013), 163f). Likewise, R. T. France observes, “OT eschatology is not concerned with the end of the world. but with the decisive action of God that will end the existing order of things and inaugurate a new era of blessing” (R. T. France, Jesus and the Old Testament, (Regent College Publishing, 1971), 84). Frost knows this – or should – if he is the scholar that he claims to be. Yet, in his article he never mentions what the Hebrews of the day actually thought. I document this in my Elements book). He makes no mention of rabbinic thought. He ignores what Josephus had to say about the Temple as “heaven and earth.” (More on this later). He makes no mention of the OT predictions of the passing of “heaven and earth” none of which predicted the passing of material creation!! He makes no mention of modern scholarship. We will explore some of this in upcoming installments of our review and refutation of Frost’s article. In the meantime, I should observe that Frost’s every increasing literalizing of scripture may well lead him into the Dispensational camp. His stunning woodenly literalistic interpretations all but demand this. So, from the outset, Frost’s presuppositional approach is highly questionable and subject to challenge – and rejection. In our upcoming installments, I will show that Frost’s claims that the OT predicted the passing of material creation are false, and, I will show that his claims about the Law of Moses remaining until the dissolution of the kosmos are specious in the extreme. Stay tuned!